It’s gratifying that a next generation of musicians looks to the compositions of some of this city’s masters—and sometimes their teachers and mentors—to record and preserve. 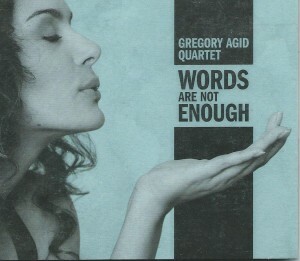 Clarinetist Gregory Agid, who’s been active on the jazz scene as a student and professional since his 2000 arrival in New Orleans, opens Words Are Not Enough with a beauty, “Nevermore,” from saxophonist/educator/producer Harold Battiste. With its gentle melody and swing, the wonder of this song is that it sounds so much like the composer himself. The group, with Agid, guitarist Joshua Starkman, bassist Max Moran and drummer Darrian Douglas, obviously understood the essential, peaceful soul of the tune and the man. At the end of a program that includes new material from each of the band members and several standards, the quartet goes to another New Orleans great, clarinetist/educator Alvin Batiste, for his very funky “Salty Dogs.” It offers each of these guys the opportunity to show another side of their musical personalities, with Agid’s clarinet dancing to each note and Starkman struttin’ some of his more blues/rock/funk licks. The talented players traverse eras with ease and authenticity, moving from Duke Ellington’s “Prelude to a Kiss” to the wild, freedom-filled ride of Douglas’ “Hate and Love Cannot Coexist.” Agid was well-prepared for this adventure, having studied with Alvin Batiste, one of a limited number of clarinetists in modern jazz. Top to bottom, this album offers pleasure from its stylistic agility. 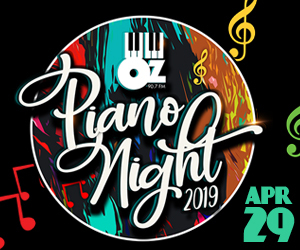 For example, Agid brings an old-school–flavored clarinet to Starkman’s “Sweetie” and Douglas stands unafraid to eagerly use his whole drum kit for accents on Moran’s “Undying Love,” despite the ballad’s quietude. Words Are Not Enough embraces all jazz music with fresh hearts and minds.